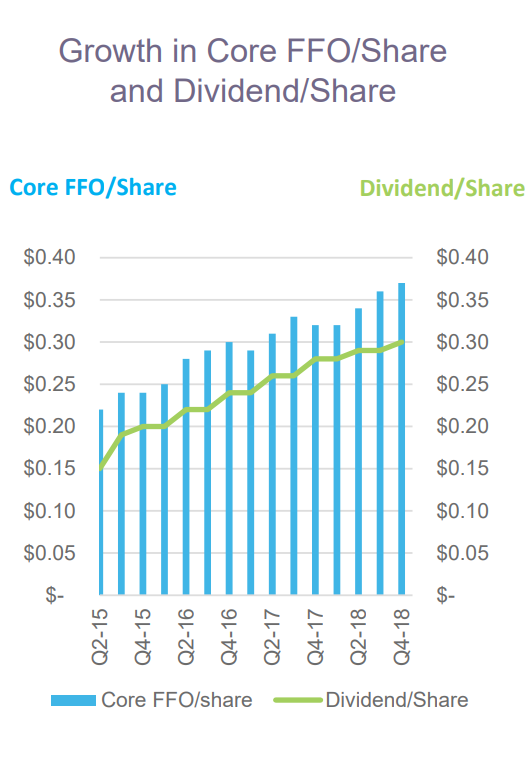 While most people are chasing big dividend payers right now, a small group of “hidden yield” stocks are quietly handing smart investors growing income streams PLUS annual returns of 12%, 17.3%, or more. Then I have good news: I’ve just uncovered seven “hidden yield” investments that can keep soaring while handing you solid income right away. Plus, a third income investment that rose more than 252% the last time it was anywhere near as cheap as it is right now! Together, these seven dividend-paying stocks could almost serve as a standalone portfolio – one that you can rely on for immediate payments … growing retirement income … and solid capital gains year in and year out. You probably already know that dividends are responsible for a very large chunk of the stock market’s historical returns. In fact, dividends have accounted for more than 40% of the gains produced by U.S. shares since the 1930s. But it actually goes much deeper than that. My research indicates a certain group of dividend stocks can give you A LOT more than steady payments that supplement your price gains. I’ve discovered a relationship between dividends and price gains that holds the key to earning at least 12% a year from very conservative investments – enough to double your portfolio in six years and provide THREE TIMES MORE INCOME THAN MOST RETIREMENT EXPERTS SAY YOU NEED. See, everyone wants dividend stocks with good current yields. Plus, it provides instant gratification. Yet that’s NOT the right way to pick dividend stocks. You have to do more work to figure out if those yields are actually supported by the company’s cash flows, earnings power, long-term business prospects, etc. And especially if it’s been regularly INCREASING its dividend payments. In my opinion, selecting companies with long histories of dividend hikes IS the safest and most reliable way to get rich investing in stocks. But it might not be for the reason you think. Yes, every time a company raises its dividend, you start earning even more money from your original investment. For example, $30 in annual dividends equals a 3% return on your original $1,000 investment. Later, if the dividends go up to $40 a year, you are effectively earning 4% on your original $1,000 investment. And if the trend continues over time, you could easily end up earning 10% or even 20% a year just from rising dividends … because your original amount of invested money never changes! This explains why so many investors are actually collecting “hidden yields” – regular payments that are MANY TIMES MORE than the dividend numbers you see reported by major media outlets. Handing You One Potential Windfall After Another! For example, if a stock pays a 3% current yield and then hikes its payout by 10%, investors will typically see the new 3.3% yield and buy more shares. In the process, they’ll drive the price up and push the yield back down towards 3% again. Let me show you how this works in the real world with a well-known income stock like Verizon (VZ). 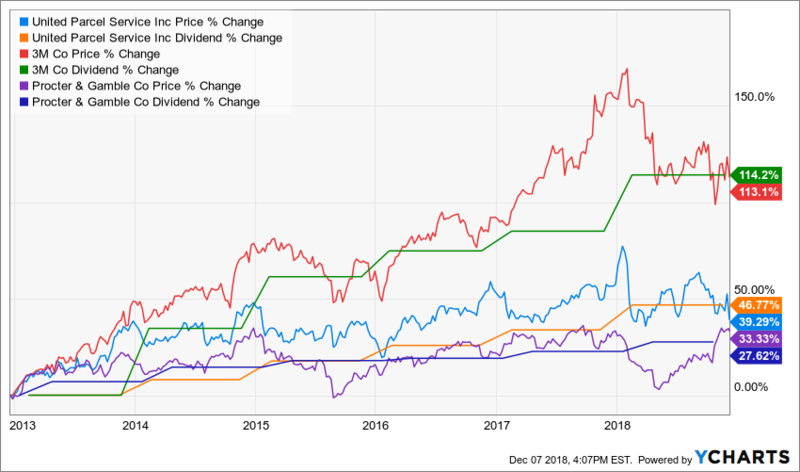 Verizon typically pays about a 4% a year, so as the firm has been growing its dividend every year, investors have been bidding the stock up to keep its yield in line with that level. You can see this very clearly in my chart of Verizon’s stock. 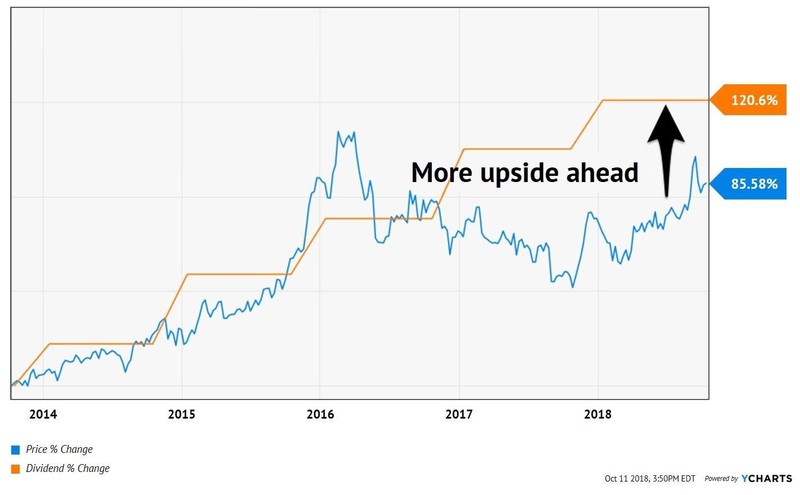 The blue line shows the stock’s price from 2014 through the end of 2018. 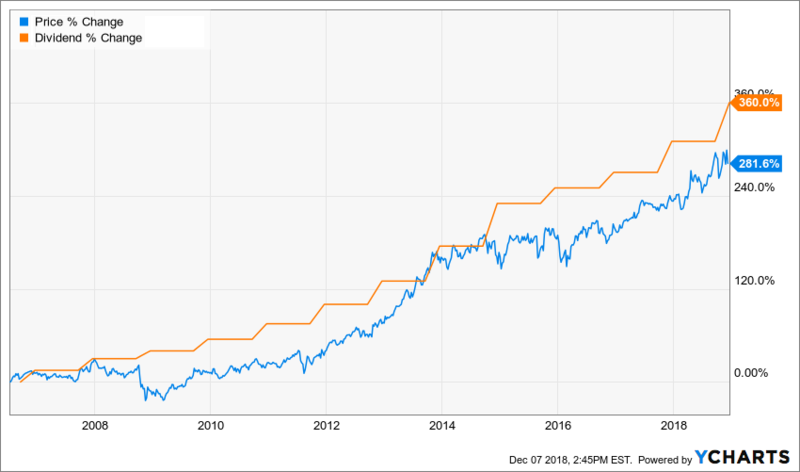 The orange line shows the stock’s dividend going up each of those years. As the chart shows, despite some ups and downs, Verizon’s stock basically rose as fast as the company’s dividend payments. Of course, I am NOT saying Verizon is a stock you should buy right now. After all, it’s only growing its payout about 2% annually. Combined that with the annual yield of 4.9% and you might only expect to earn about 6.9% every year going forward from Verizon. Let’s look at three more popular dividend stocks – 3M (MMM), Procter & Gamble (PG), and UPS (UPS) – to see the same thing in action. As with Verizon, all three of these stocks have had nearly constant yields over the last five years. Because their price returns have also closely tracked their dividend growth. And while MMM’s dividends jumped an impressive 114%, the company’s shares soared 113% … more than doubling every dollar invested before the dividend hikes began! So the very best dividend stocks almost never show high yields because their prices keep rising in line with the increasing payments! Most people never realize any of this. But those of us who DO stand to profit handsomely and almost automatically! Look for One More Thing Before Investing in Dividend Stocks! I imagine you’d be pretty darn happy to watch your portfolio grow roughly 12% every year … doubling in value every six years … and creating bigger and bigger potential income streams along the way. And as I’ve just explained, picking the right “hidden yield” stocks can do that without exposing you to outsized risks or can’t-sleep-at-night worries. 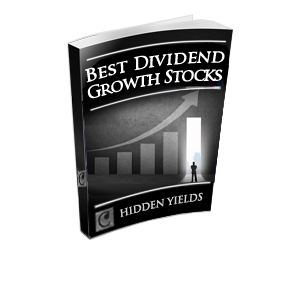 But what I’ve found is that adding in one additional criteria can point you to even bigger, faster upside from dividend stocks. Whenever a company buys back its own stock, it is basically improving every single “per share” metric that investors watch – earnings … free cash flow … book value … etc. After all, if a company reduces the number of its shares by 50%, its earnings per share will automatically DOUBLE without any actual increase in profits. Investors will quickly bid up the stock’s price to bring it back in line with the value it was trading at before. Indeed, my research shows that simply investing in stocks that are reducing their share counts can help you beat the broad market’s performance. You can see this just by looking at the PowerShares Buyback Achievers ETF (PKW), which simply buys stocks in companies that have reduced their outstanding share count by 5% or more over the last 12 months. And again, that’s without targeting companies with more aggressive buyback programs … without considering the prices being paid for the buybacks … or the likelihood of FUTURE buybacks! And the Gains Can Be Truly Explosive! 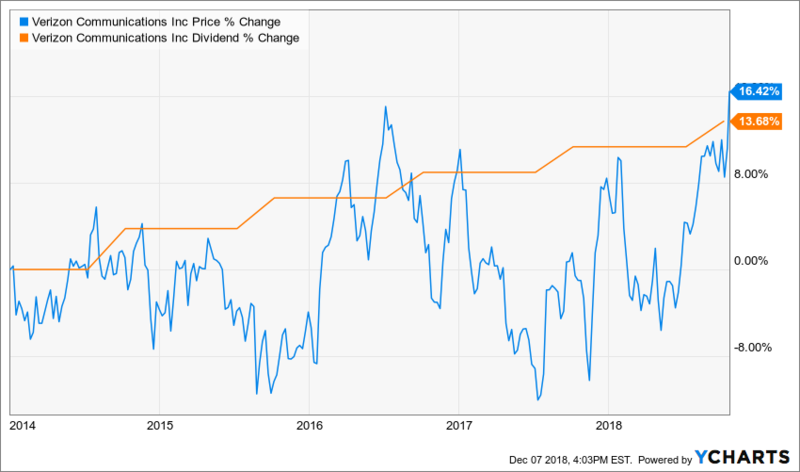 For example, in December 2015 I recommended Boeing (BA) because it looked cheap … was quickly growing its dividend payments … and management was also buying back shares aggressively. The shares were trading for less than 12 times free cash flow. 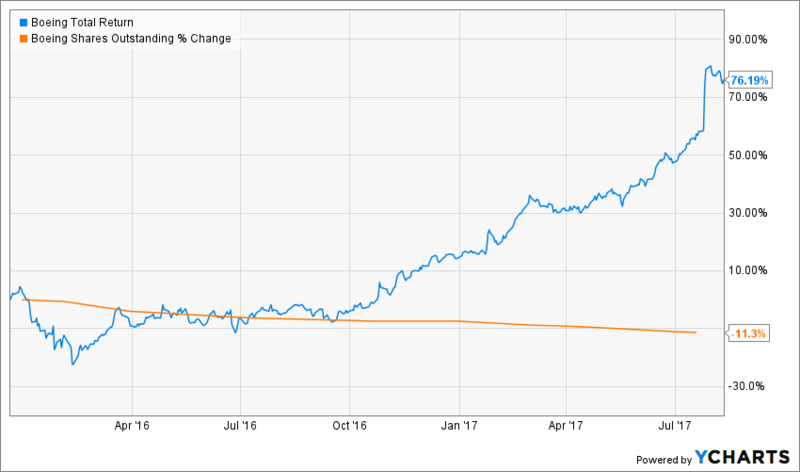 Boeing had reduced its outstanding shares by 11% since 2013, and had plans in place to remove another 7.6% from there. Plus, the stock was still yielding 3% a year after a recent 20% dividend increase! All those things told me the stock could take off as the company continued growing its dividends and buying back more shares. Sure enough, it played out just that way. Boeing reduced its share count by 7.4% over the next year and raised its dividend another 30%. 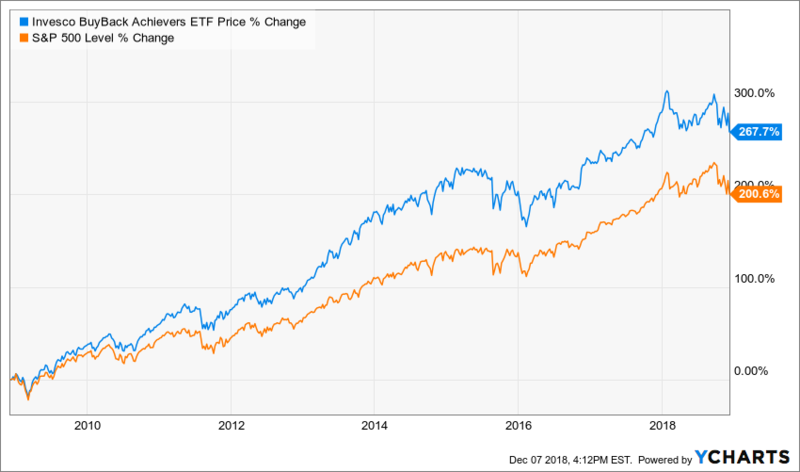 The market quickly responded as that happened and the stock delivered a 17.3% total return over the year. That’s a 17% return in a single year from a relatively boring, blue-chip company. From there, shares continued going up – producing a 147.4% total return in just over 24 months! No need to take big risks … invest in things you don’t understand … or even guess about how some new product rollout or business development is unfolding. If you find companies that are consistently raising their dividends at solid rates PLUS consistently buying back their own shares, you have the recipe for annual total returns of 12% or more. And it’s literally ONE HUNDRED TIMES higher than the very best certificates of deposit available at the moment. In fact, since most experts recommend withdrawing 4% of your nest egg each year during retirement, it means your portfolio could actually be growing three times faster than you’d be withdrawing money. Put another way, simply investing in the right “hidden yield” stocks could triple the amount of money you have to enjoy your golden years. Best of all, it can do so safely! Right now, at this very moment, there are seven in particular that I think you should consider buying. The midterm elections are behind us and before we know it, we’ll be seeing ads for the 2020 campaigns. And thanks to these endless election cycles, “odd years” aren’t so shabby anymore, either. Sales boomed in 2015 and I anticipate we’ll see similar growth reported for 2017 when the numbers are final. This has translated to a dividend that’s more than tripled since the company began paying one in 2012! 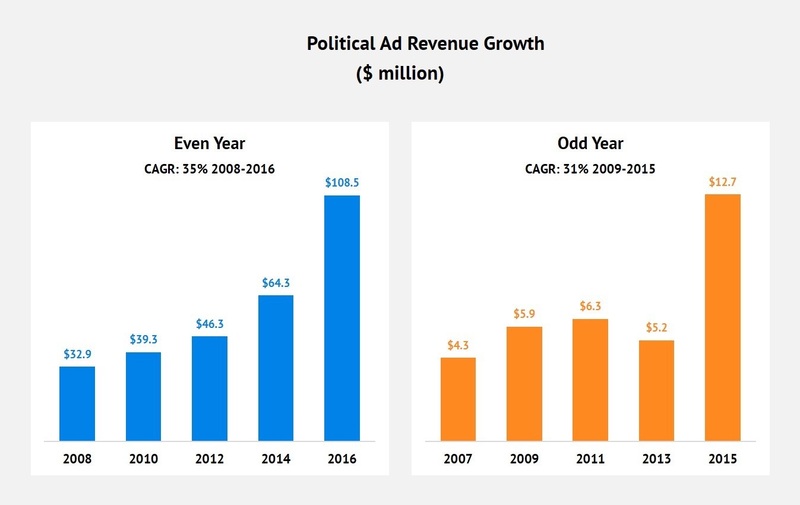 Right now is the perfect time to buy this ad vendor so that we can profit from the early launch of campaigns later next year and the banner spending on the way in 2020. This firm has a unique strategy that lets it “cherry pick” the best locations for its facilities. Formed in 2012 with 100 sites, it now harvests cash from 672 properties across the United States. All that growth is fueling bigger and bigger dividends, too! The company boosted its payout twice over the past year and if that pace continues, its dividends will double in just four or five more years – which means your 4.1% initial yield could soon grow to 8.2% or more! Of course, as I’ve already explained, future investors won’t be able to lock in that potential 8.2% yield. Other investors will probably still see the stock’s yield quoted at 4.1% while you’re sitting on more than 100% in capital gains and collecting more than 8.2% on your initial investment! 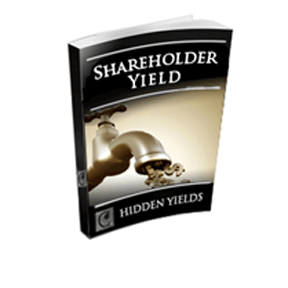 “Hidden Yield” Stock #3: Almost $4.3 billion that Trump could release to investors like you! This third stock is sitting on roughly $4.3 billion in cash, and much of that money is parked overseas. Now that President Trump has followed through on his promise to give a tax break on money that’s brought back into the U.S., there’s a potential windfall waiting for investors who get in now. This company already has more money than it needs to fuel its exciting growth prospects, which means it will probably give the cash back to shareholders in the form of repurchases and more dividend increases. It’s boosted its dividend 80% over the last five years, while buying back more than 38% of its shares outstanding. The firm has also maintained its shareholder yield in the double-digits, currently at an unbelievable 11%! It gets better: Cash is being returned to shareholders at faster and faster rates. In the last three years alone, this company has reduced outstanding shares by over 24% while increasing its dividend by 33.3%. “Hidden Yield” Stock #4: Last time it was this cheap, it rose more than 250%! If you’re looking for a stock with HUGE upside potential, then you should seriously consider buying this one right away. Why? Well, the shares are trading for just six times free cash flow, and as recently as 2014 they were trading at EIGHT TIMES that valuation. Now, I’m not saying we will see an 800% jump from here … but the last time these shares were trading under 10 times free cash flow, they went on a monster 252% run. Meanwhile, I think dividend payments and share buybacks alone could push your investment up 12% or more. Usually a company that grows its free cash flow (FCF) by 117% in five years and its dividend by 167% would thrill any investor. But one hedge fund mega-shareholder behind stock #5 recently believed it could do a whole better. How’d they know? Because they discretely installed cameras in the firm’s parking lots to compare traffic with competitors’! The hedge fund quickly called the CEO to task,and he was shown the door shortly thereafter. A respected industry veteran was installed at helm in July 2018 who quickly rolled out a 4-point turnaround plan. He and his team have already started organizing the pieces and collecting cash for dividend investors like us. The time to buy is now, before the underpriced shares begin to reflect this “turnaround” effort in motion and rocket higher. After all, the smart insider money has already started to acquire shares hand over fist. A company director recently made the biggest insider purchase of this blue chip since 2006! He knows firsthand what I’ve just explained – that this turnaround layup is about to score big money for shareholders. The best time to buy this stock is anytime. After all, a 25,000+ strong “boots on the ground” team is working for us around the clock to ensure ever-higher profits and payouts. This stock probably won’t appear on any dividend screens you run. Income writers and analysts tend to ignore it, because it rarely pays much more than 1%. But the computers and humans are both missing the point. The firm’s high velocity 1% payout is a big-time “hidden yield” that has made many of its investors rich. Since its current CEO took the helm in July 2004, the stock has delivered 493% total returns to investors (including dividends). And the best is yet to come. This stock has so much business momentum that their CEO recently quipped he could keep growing sales by simply selling to existing customers! Believe it or not, this stock should increase by 10% or more every year for the foreseeable future if they did absolutely nothing else. Shares are still recovering from an ill-advised 2017 selloff in which investors mistook a rare down year as a sign that the business had peaked out. Dividend aristocrats – companies that have increased their payouts for at least 25 consecutive years – rarely go on sale. They’re already considered the highest quality companies in the world. Which means their stocks are almost always expensive, and their current yields are usually quite modest. In other words, their stock prices rarely lag their dividends like this! Make sure you own this stock before its next 10%+ payout hike. Here Are My Specific Instructions on How to Buy These Seven Stocks for Maximum Income and 100%+ Profit Potential …. At this point, I’ve given you the highlights on my favorite “hidden yield” stocks. But you still need the names … the ticker symbols … and my specific instructions on how much to pay for these investments, when to consider taking profits, and other important details. That’s why my team and I prepared an in-depth report on all seven of these must-own companies. After sifting through thousands of stocks from across the globe, we narrowed our buy list down to these seven particular income gushers … and in our report we give you detailed profiles on each of them … along with ticker symbols and my buy-up-to prices. In short, you’ll understand the rationale behind each recommendation and you’ll know exactly how to profit the most from each of them. This report has a cover price of $99, and I actually think it’s worth far more than that … especially since any one of the seven stocks I profile could easily hand you many times that amount with your very first dividend check! But for a limited time, you can get an exclusive copy of this new report free of charge. To gauge dividend health, you can’t simply look in the rearview mirror. Many “surprise” payout cuts are issued from companies with long streaks of paying — or even raising — their dividends. Instead, it’s important to consider leading indicators of dividend health like cash flow, earnings growth, and payout ratios. Of course, it’s time consuming to give each public company a dividend health checkup – so I’ve done the work for you in this special report. Using a combination of seven fundamental factors, I have identified eight companies that are likely to cut their dividends over the next twelve months. Investors caught holding these stocks through dividend disappointments will likely suffer losses of at least 20%, and perhaps as high as 50%. Therefore, if you own any of these eight paper tigers, you’ll want to sell them immediately. As we discussed, when done right, share buybacks can light a fire under stock returns. They also act like a magnifying glass on dividend payments because they cut the number of shares outstanding, leaving fewer for the company to pay out on. But many companies are going too far, paying out more in buybacks than they’re bringing in through free cash flows. Worse, many buy back their stock willy-nilly, without making sure it’s a good value first. There’s no better way to destroy shareholder value than by repurchasing overpriced stock. This report gives you everything you need to know to make sure the companies you invest in are buying back shares the right way – not simply burning up cash that would be better used as dividends or to develop revolutionary new products. The three reports I just told you about will give you seven rock-solid income investments that can keep growing your portfolio … hand you larger and larger income … while also protecting you from suffering dividend cuts or ill-advised buyback programs. But there are two things those reports can’t give you – ongoing updates and all my FUTURE income recommendations. 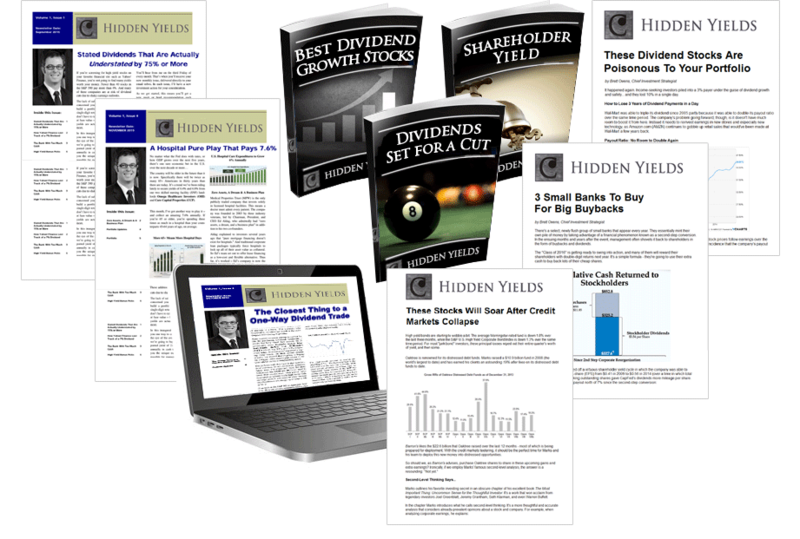 That’s why, in addition to giving you these three reports – worth $297 on their own – I also want to give you a risk-free, 60-day trial to my premium newsletter called Hidden Yields. 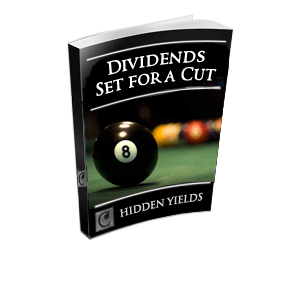 My Hidden Yields picks are perfect for savvy investors looking to rack up fast gains in the near term plus bigger and bigger yields thanks to soaring dividend payouts. Right away, you’ll get instant access to many more under-the-radar picks in the publication’s portfolio – the vast majority of which are hiking their payouts at double-digit rates – plus all the new buys I uncover in the coming months. I do all the digging for you, recommending only the safest dividend growers and keeping you well clear of companies funding their payouts with borrowed money — or worse, betting the farm on shaky business models that will crumble at the first hint of a downturn. What’s more, I send out new recommendations whenever they’re worth buying plus I give you regular updates on earlier recommendations … all in plain, everyday English. Monthly Research Bulletins: On the third Friday of each month, you’ll receive my latest investment analysis right in your inbox. I’ll include detailed analysis on new recommendations, updates on existing positions, and an overview of trends and events that may affect your portfolio. Our Full Members-Only Portfolio: All of our recommendations are laid out in an easy-to-read portfolio that includes exact buy/sell recommendations and buy-under prices. Weekly Market Updates: Sent straight from my desk to your inbox, you’ll get my weekly investing ideas on stocks I’ve been watching and analysis of major market events taking place. Additional Flash Alerts: You’ll never have to worry about breaking news on our portfolio stocks. I’ll have an eye on all of them constantly and will email you right away if there’s ever any need to take an action. Unlimited Access to Our Members-Only Website: Day or night, you can log into our password-protected website, where you’ll find easy access to all of our resources, including an archive of past issues, special reports, Flash Alerts, and the full portfolio. Obviously, this is a serious investment service for serious income investors and all you have to is click here to activate your risk-free trial now. Like I mentioned earlier, I originally earned a degree in engineering from Cornell University. And when I first graduated, I put my knowledge to good use designing systems for Fortune 500 companies to streamline their operations and predict upcoming business risks. Of course, while I was doing that – and earning a great living – I had left my investment portfolio in someone else’s hands. I kept contributing more money, but almost every time I checked my account … the balance was going DOWN! I hope you’ve never experienced it personally, but you can at least imagine the sickening feeling of watching your money just disappear because of some other idiot’s decisions. One day I just woke up and decided to take control of things again. After all, I specialized in making things safer and more efficient, right? So I took everything I knew as an engineer and I applied it to my investments, even designing my own system that identified the best companies to buy at any given time. I’m proud to say that I not only got back everything that lousy stock broker lost me, but I turned a meager $2,000 into $154,000 in less than 48 months! Man, it felt so good. Regaining control. Knowing exactly what I was investing in and why. Watching my balance GROWING AGAIN. Needless to say, I was hooked. More than that, I knew I could start helping other people experience the same level of control. That’s how I went from working for Fortune 500 companies to working for investors like YOU. Today, I’m helping individual investors like you generate more income – and get bigger overall gains – while staying as safe as possible. And I put that care and concern into every issue of Hidden Yields. Again, all you have to is click here to activate your risk-free trial now. You’ll Never Have to Pay One Red Cent! The regular annual subscription rate to Hidden Yields is $299 and I think that’s more than fair. After all, just a single recommendation like that Boeing trade could easily cover the membership fee many times over. But as part of this special offer, I want to reduce your risk down to ZERO. If you join right now, you can get a charter membership for just $99 … a full 67% off the regular retail rate. Then, download your three free reports (worth $297 alone) and enjoy all the other members-only benefits for the next 60 days. If, at any point during that period, you don’t think my ideas can help you double your income and keep your portfolio growing at least 12% a year – or you’re unhappy for any other reason at all – just give us a call and we’ll gladly refund your entire membership fee with no questions asked. Plus, you can keep everything you’ve received up until that point just for giving my research a shot! That’s how confident I am that you’ll profit from the ideas and recommendations in your free reports and first few issues of Hidden Yields! And you’ll be fully covered by a full, unconditional, 60-day money back guarantee! Obviously, the final decision is all yours. But I don’t see how you can lose here since I’m the one taking all the risk. I’m really looking forward to welcoming you aboard! P.S. This special offer is only good for a limited time – so if you want to get everything I just told you about with absolutely no risk or obligation whatsoever, you need to act now.